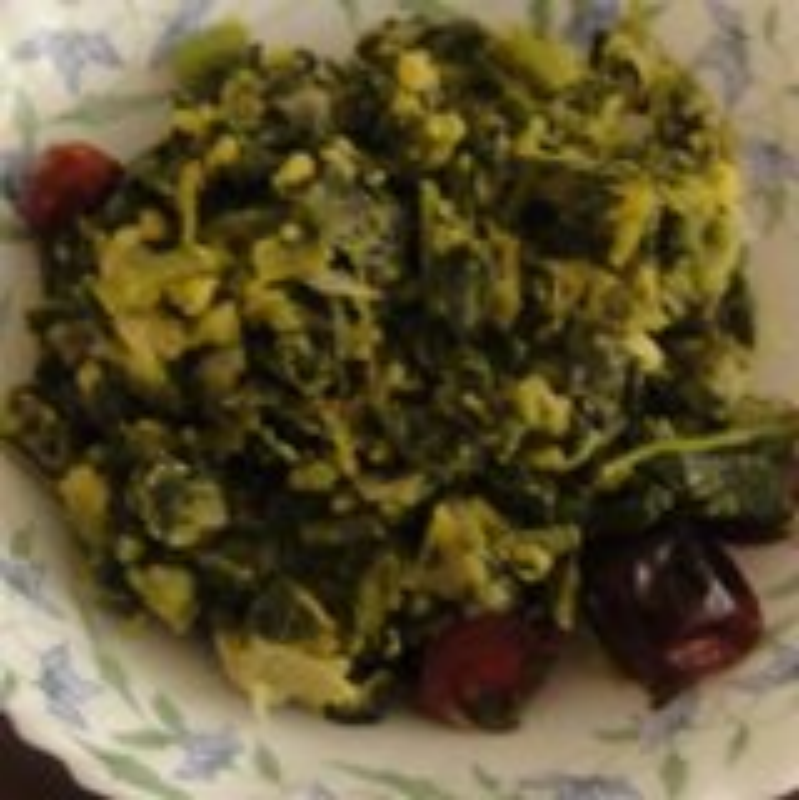 a popular way of making greens in the south called kootu that is a tasty and healthy side dish that can be best eaten with rotis or serve it with sambar rice. Wash moong dal and allow to boil in a kadai pouring enough water. add salt and turmeric to it. when it's 3/4th done add the chopped greens to the same water adding onions and garlic to it. simmer and cook till the leaves and the dal are done. heat oil separately in a kadai and season with mustard, whole red chillies, crushed garlic and onions and fry till onions turn brown and add the hing also. toss in the cooked greens into this seasoning and serve hot. what is this amaranths????? ?,and where is it used in the recepie?